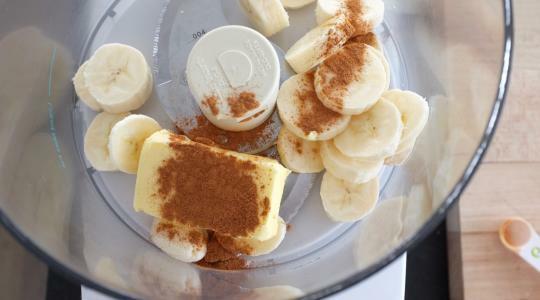 For the banana butter, in a food processor, puree together the banana, butter, cinnamon, and salt until creamy. 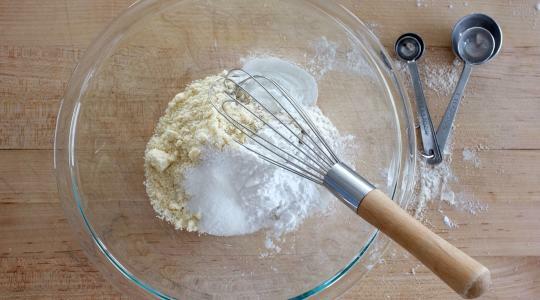 For the pancakes, in a medium bowl, whisk together the oat four, almond flour, rice flour, tapioca flour, sugar, baking powder, and salt. 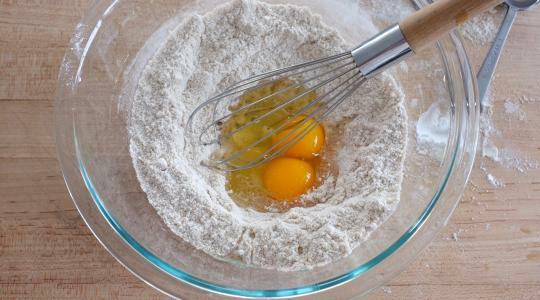 Make a well in the center and add the eggs and milk. 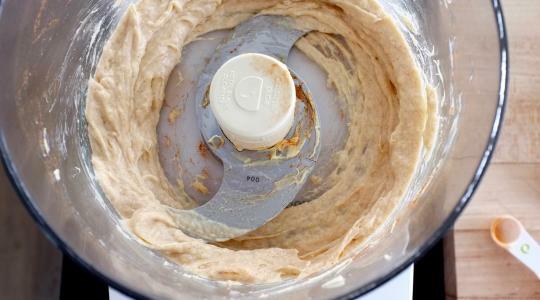 Whisk the eggs and milk, then gradually whisk in the flour mixture until nearly smooth. 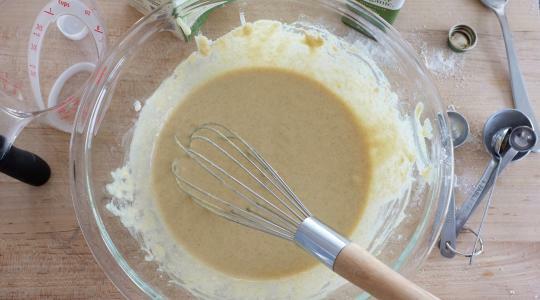 Whisk in 2 tablespoons of the melted butter and vanilla. Place a large skillet over medium-high heat to get it nice and hot, then reduce the heat to medium-low. 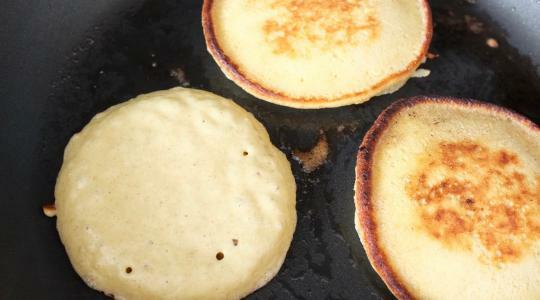 For each batch of pancakes, add about ½ tablespoon of butter and swirl the skillet to coat the bottom. Once the butter is melted, scoop the batter (using about 2 tablespoons per pancake) into the skillet, spacing the pancakes 2 inches apart. Cook for 1 to 2 minutes, until the bubbles on the top start to burst and the undersides are golden brown. Flip the pancakes and cook for about 30 seconds more, or until golden and puffed. 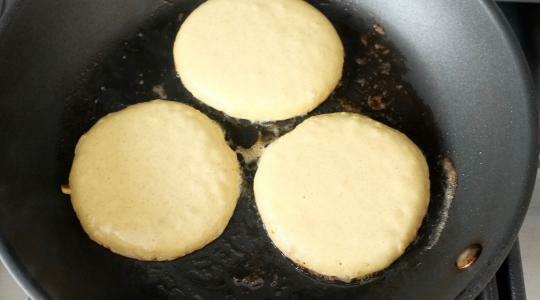 Transfer them to a platter and cover with foil to keep warm while you make the remaining pancakes. 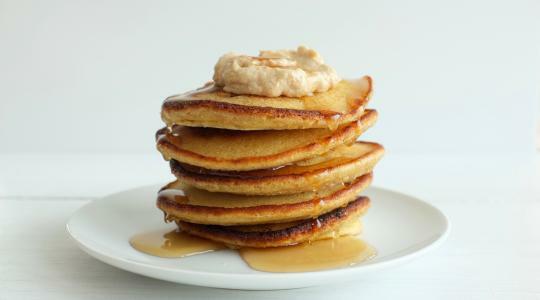 Serve topped with the banana butter and maple syrup.